HOT DEALS: This week's VIP discount offers from Richer Sounds | What Hi-Fi? Now Richer Sounds is offering the player to its VIP customers at just £109.95 if you trade in your old VHS recorder (it's £139.95 without the trade-in). 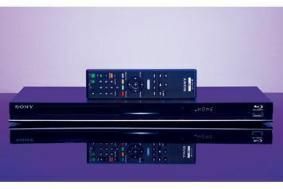 Alternatively you can have a Panasonic DMP-BD45 for £129.95, a Denon BDP-1610 for £249.95 (while stocks last) or a Pioneer BDP-120 for £79.95 (+ free BBC Planet Earth five-disc Blu-ray set). Other VIP deals include a Yamaha RXV365 AV receiver for £129.95, Sony STR-DA3500ES for £399.95 or Pioneer VSX-1019 for £499.95. There are also discounts on selected LG, Samsung and Toshiba TVs. Check out the Richer Sounds website for full details.